The world of South African cricket has just taken a hit: the ex-batsman Alviro Peterson is being charged with match-fixing. One can probably imagine what’s coming next: a very lengthy investigation that the authorities will conduct into the Ram Slam T20 Challenge Series Competition that took place in 2015. Born in Port Elizabeth in 1980, Alviro Petersen began his career in 2001 at the Northerns. He has been playing at Lancashire since 2015. Before landing at Lancashire, Peterson played for other English cricket clubs like Glamorgan, Essex and Sommerset. The athlete has recently announced his contract might not extend to 2017. Peterson mentioned family reasons to support his decision. The 35-year-old man said he’s expecting a second baby with his wife. Peterson also argued that his 3-year-old son wants to spend more time with his dad. The general idea of his statement was that if being a cricket played will affect his family life, the job will always come second. Peterson served South Africa in international competitions between 2006 and 2015. The man featured 36 tests, 21 one-day internationals and 2 T20 internationals for South Africa. Alviro Peterson is no the only cricket player in South Africa who faced charges of match fixing. In January 2016, Gulam Bodi was banned for 20 years after he admitted his involvement in fixing matches. Bodi was born in India but he lived in South Africa for many years. He used to play as a spinner for the Proteas South African cricket team. Thami Tsolekile has also been banned by the CSA for breaching the anti-corruption code. The man can’t play cricket at a professional club for the next 12 years. He was involved in the same scandal as Bodi. Other parties received lesser bans for accepting money from the Indian-born spinner Gulam Bodi. We are talking about Pumelela Matshikwe (10 years), Ethy Mbhalati (10 years) and Jean Symes (7 years). The message of the South African Cricketers’ Association is that corruption is a widespread cancer in the world of cricket and it “needs to be fought everywhere and at every level.” When a game is fixed it robs the fans from true spectacle and it makes them lose respect for the team they once supported with sheer loyalty. Fixing matches shows that players do not respect their fans or the game itself, which is why corruption must be punished according to existing regulations. The sad thing is that the world can lose amazingly good players who know how to make real show on the field. Still, that’s a risk we must take to get rid of corrupt cricketers. 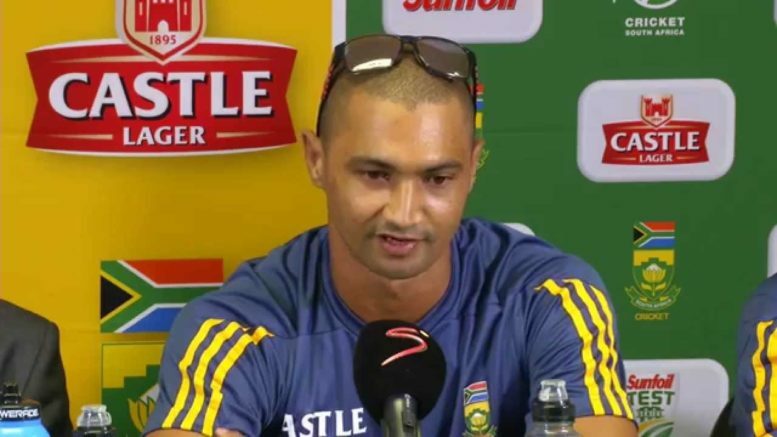 Be the first to comment on "Alviro Petersen is charged with match-fixing"